OpenSpending pages generally support multiple representations, at least a user-facing HTML version and a JSON object that represents the contained data. For various technical and non-technical reasons, most of the data is read-only. HTML (Hyptertext Markup), MIME type text/html or any value not otherwise in use, suffix .html. This is the default representation. CSV (Comma-Separated Values), MIME type text/csv and suffix .csv. CSV is only supported where listings can be exported with some application-level meaning.  The key resources in OpenSpending are datasets, entries, dimensions, and dimension members. Each of these has a listing and an entity view that can be accessed. All datasets are listed, including their core metadata. Additionally, certain parameters are given as facets (i.e. territories and languages of the datasets). Both territories and languages can also be passed in as query parameters to filter the result set. Supported formats are HTML, CSV and JSON. Core dataset metadata is returned. This call does not have any parameters. Supported formats are HTML and JSON. A listing of dimensions, including type, description, and attribute definitions is returned. This call does not have any parameters. Supported formats are HTML and JSON. "description": "The entity that the money was paid from"
The returned JSON representation contains the dimension metadata, including type, label, description and attribute definitions. This call’s return includes dimension metadata, but it may be too expensive to call for just this aspect. This will return the data stored on a given member name of the dimension, including its name, label, and any other defined attributes. Listing all the entries in a dataset (and offering export functionality) is handled by the full-text search. See the search API. This will return a full representation of this entry, including all measures and all attributes of all dimensions. The entry id is a semi-natural key derived from dataset metadata which should be stable across several loads. A CSV representation is available but will only have one row.